Here at AndroidPIT, we’re constantly seeing new and exciting apps on the Play Store. We’ve tried several new and updated apps this week and picked our favorites. Here are the ones we think you absolutely must try. Google’s Santa Tracker just got its 2017 update. As the excitement for Christmas eve builds, you can pass the time by playing mini-games and using the countdown timer on the app. But the real reason to get the app is, of course, the Santa Tracker itself. Follow Santa’s journey around the globe delivering joy and gifts, on your smartphone or Android TV. Get it on the Play Store. Nintendo just released a new Animal Crossing game on the Play Store, and it’s all about camping. The latest iteration of the franchise is well-suited to mobile, and you’ll quickly become addicted to all the activities and to customizing your camp. Pocket Camp already has its first holiday event now, and you can get exclusive Christmas clothes and furniture for a limited time until December 25. 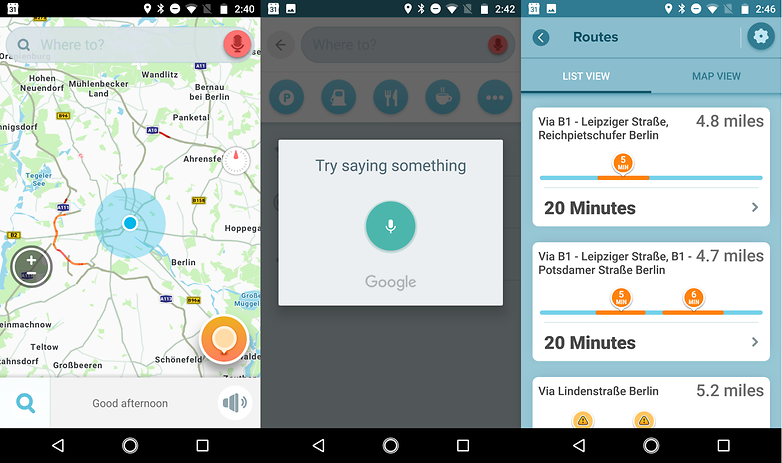 Waze, the popular app for getting directions and avoiding traffic, has just released a very important update introducing hands-free navigation. This update means that those living in areas with laws against distracted driving can now use Waze without any worry. Regardless of where you live, you can now drive a little safer simply by saying “OK, Waze”. 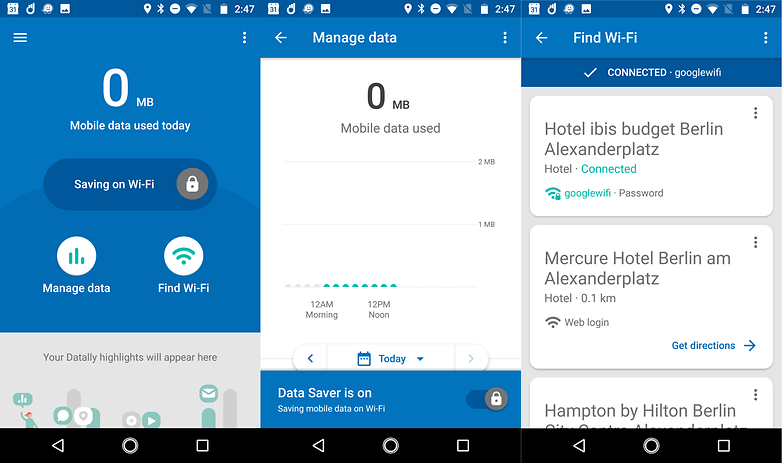 Google just released an app called Datally, and it could save you from maxing out your monthly data allowance. It lets you monitor and reduce data consumption on your Android device. It will show you your consumption daily, weekly or monthly in a graph and show your consumption by app. There’s also a helpful Wi-Fi network finder. Showing a friend a photo on your phone comes with the risk of them looking through all the embarrassing photos in your gallery. There’s an app to solve this problem: Secure Photo Viewer. You can limit what friends see to specific photos by opening your gallery, selecting the particular photo(s), and tapping the share button. 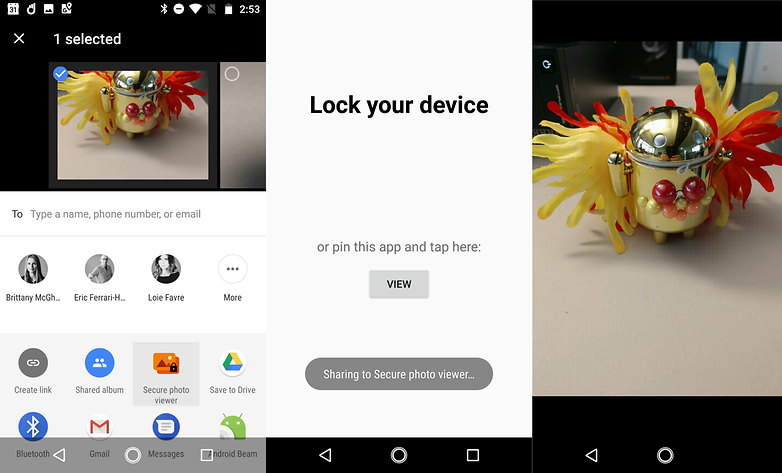 From there, share to Secure Photo Viewer then lock your device’s screen. Your friend will only be able to see those specific photos, and can’t dig around without unlocking your device. These are the apps that have really wowed us this week, how about you? Let us know your recommendations in the comments!